Join us in welcoming our speaker this month, Roy Sexton. "How to Win the Room When You'd Rather Stay Home"
Roy Sexton leads Clark Hill’s marketing, branding, and communications efforts, collaborating with the firm's exceptional team of marketing and business development professionals. 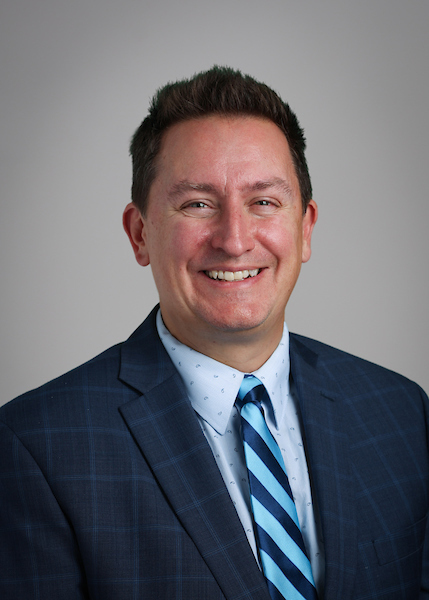 Roy has nearly 20 years of experience in marketing, communications, business development, and strategic planning, having worked at Deloitte Consulting, Oakwood Healthcare (now Beaumont), Trott Law (formerly Trott & Trott), St. Joseph Mercy Health System, and Kerr Russell, PLC. He has been heavily involved regionally and nationally in the Legal Marketing Association as a board member, content expert, and presenter. He is treasurer-elect currently for the Legal Marketing Association’s Midwest Regional Board of Directors. Roy was named a Michigan Lawyers Weekly "Unsung Legal Hero" in 2018. The Novi Affinity Group Members meet at 8 a.m. on the third Wednesday of each month at Walsh College - Novi Campus, 41500 Gardenbrook Drive Novi, for networking with other Inforum members, who are interested in establishing and building professional relationships.